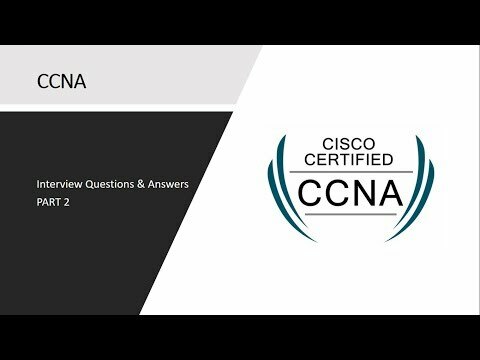 This is questions and answers series of CCNA interview question. This is number 2 video of this series if you want to watch other videos, visit my other blogs on the website. Those who don’t know about CCNA, for that CCNA is network certification, short for Cisco Certified Network Associate Routing & Switching (CCNA) certification. On passing this certification, it validates the ability 0f candidates to install, configure, operate, and troubleshoot medium-size routed and switched networks. Ans: Routing is the process of identifying the path for traffic in a network, or between or across multiple networks. Ans: BootP is also called Boot Program. This protocol basically assigns IP address when the computer connected to a network and boots its operating system. Q3. How does cut-through LAN switching work? Ans: In Cut-Through LAN switching, the router forwards the frame to the next segment as soon as it reads destination address without waiting for the whole frame. Q4. What are the different IPX access lists? Ans: Standard and Extended are the different IPX access lists. Standard Access List filters network traffic based only on the source or destination IP address. An Extended Access List filters network traffic based on source and destination IP addresses, port, socket, and protocol. Q5. What’s the simplest way to remotely configure a router? Ans: Cisco AutoInstall Procedure is available to remotely configure a router. Obviously, you need to connect internet or LAN to the router. Q6. How are internetworks created? Ans: An internetwork is a collection of many different networks to create a large network. Internetworks are created by using routers to connect different networks. Q7. Give some benefits of LAN switching. Q8. Briefly, explain the conversion steps in data encapsulation. Ans: When a user sends an email or request a pizza on the website, data is converted into segments. Segments are passed on different OSI layers and converted into packets. Packets are then converted into frames. Frames also not transmitted via physical cables, instead, it converted into bits before actual transmission. Q9. Differentiate Logical Topology from Physical Topology. Ans: Logical Topology is a network which defined how data is transmitted from source to destination irrespective of the physical connection of devices. Physical Topology is an actual physical interconnection of cables which laid down for connectivity. Q10. What is the role of the LLC sublayer? Ans: The logical link control (LLC) is the upper sublayer of data link layer of OSI model. It provides flow control to the Network layer by using different codes. Error correction is another function of this layer.